William Smith - THE MASSACRE AT LE PARADIS - HELL IN PARADISE - MAY, 1940. Private 5772753 William George Thomas Ernest Smith. 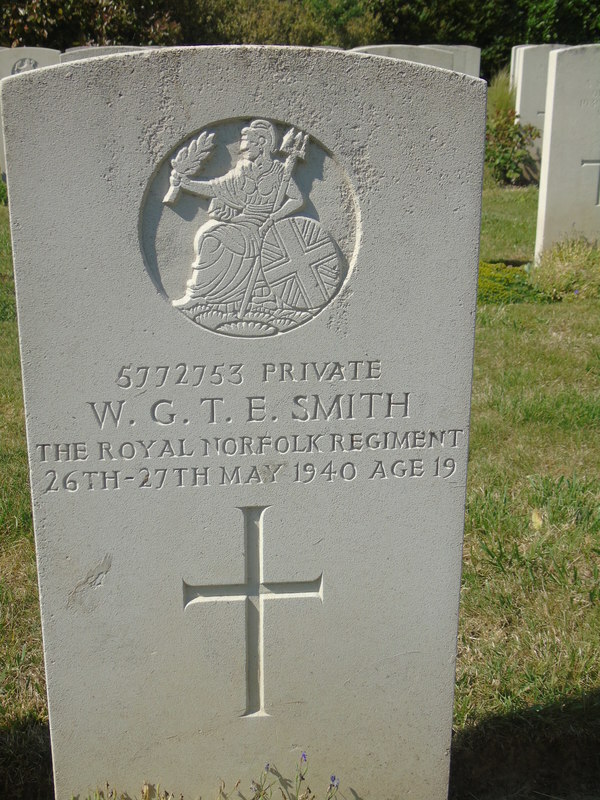 Died 26th-27th May, 1940, aged 19.